There are two kinds of DVDs – data DVDs and audio DVDs. Data DVDs can contain any type of file, just like a flash drive, and you can transcribe them directly, though it is better to copy them to your hard drive and play them from there. Audio DVDs can only contain movies/videos, and normally cannot be transcribed directly – you must convert them first, and this page explains how to do that. To check whether a DVD is a data or audio DVD, browse to it in Windows Explorer. If you see a folder called VIDEO_TS, you have an audio DVD, and you should proceed to follow the instructions below. To convert an audio DVD, there are two alternative methods you can try. 1 – Browse to the DVD in Windows Explorer, find the .vob files on the DVD, copy them to your hard drive, then right-click on them one by one, click Rename, and change “vob” to “mpeg”. However, you may find that the resulting files do not play smoothly, in which case try method 2. Insert a DVD into your DVD drive, and as per step 1 in the image, press the “DVD” button. You will then see a screen like the one below, which lists all the videos on the DVD, in this case six. By the first arrow, check the video/s you want to convert. By the second arrow, browse to the folder where you want the converted files to be placed. 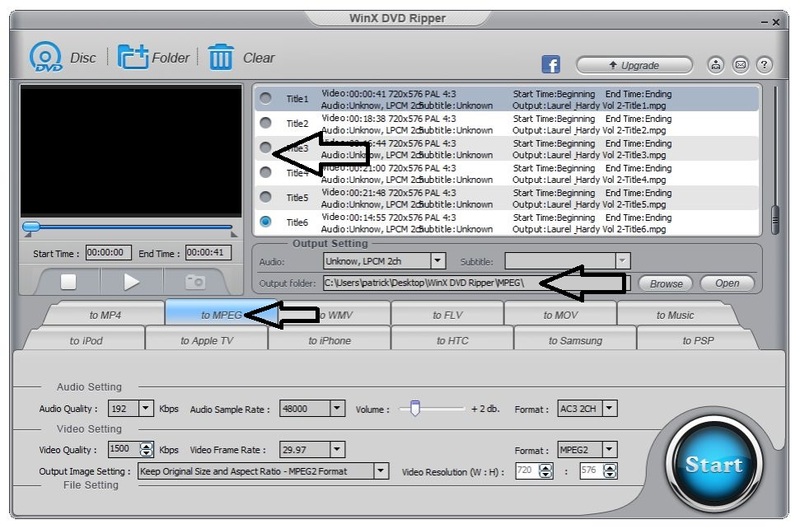 By the third arrow, click the “MPEG” tab to ensure your files are converted to the MPEG format, as this is the best format for the FTW Transcriber to work with. 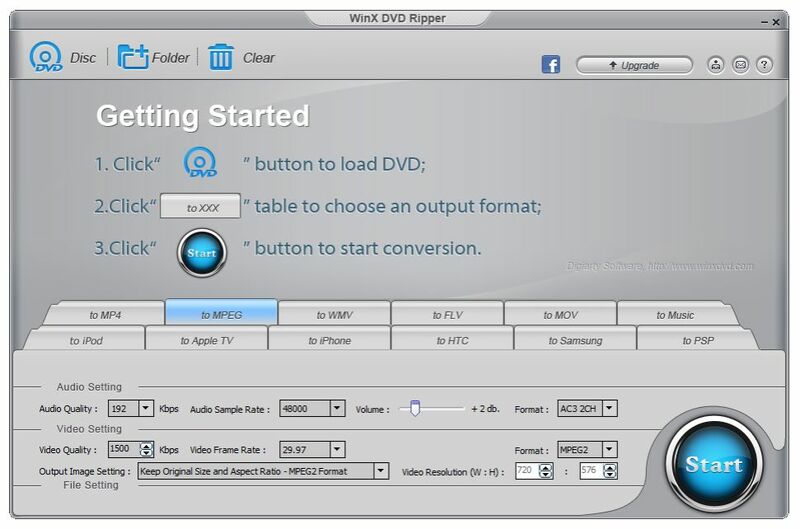 Then click Start in the bottom right, and your DVD will convert to mpeg files. This can take some time, and the conversion may stay at 99% for longer than you expect, but it will complete.